Yesterday I had a session with my life coach, Annabeth with Lifeworks. She talked about inner and outer looping. Inner looping is when we pay attention to our body sensations and what our body is telling us. Outer looping is when we pay attention to what other people are communicating to us through their body language. A great communicator connects the loops and does both inner and outer looping at the same time. Today, I realized, after a doing a session with my client and their dog, the importance for our dogs to inner and outer loop as well. I see many people who walk their dogs that are totally inner looping or outer looping to their outside environment. 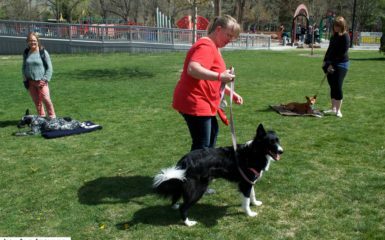 Very rarely do I see the dogs outer looping by connecting to their owners. 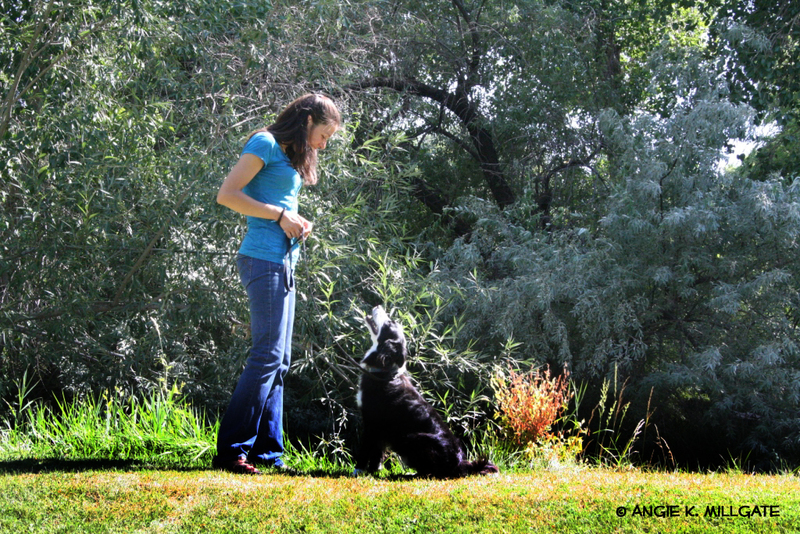 It is important for dogs to pay attention to their owners and wonder what their owner might be communicating to them. Also aggressive dogs are excellent inner loopers. They are paying attention to their body and their emotions. They are not paying attention to what their owner and their environment is communicating to them. This is especially noticeable when the owner and the environment is communicating safety and the dog is still reacting. 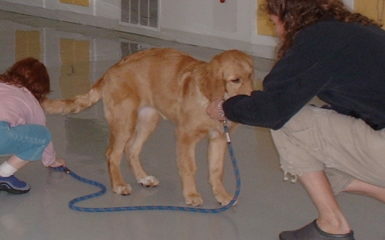 Outer looping is important for aggressive dogs to learn. As I am learning to inner and outer loop at the same time. I realize it takes practice., I am naturally good at inner looping. Dogs also must be taught to outer loop with their owner. When the dog is connected with his owner during a walk, he checks in with his owner by occasionally looking at his owner. He switches back and forth between outer looping with his owner and the environment. He also allows inner loops within himself. 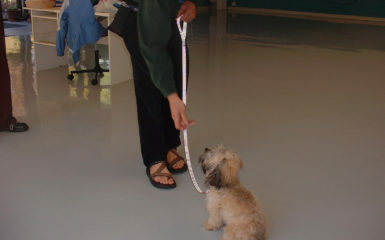 If you teach your dog to do this he will then walk loosely on his leash and be responsive to commands. 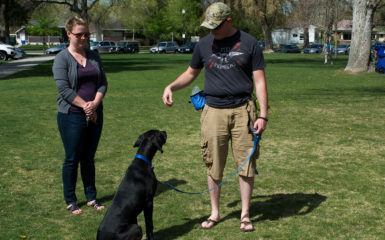 Basically train your dog during leash walks. Train him to walk on a nice loose leash and request him to perform commands. This teaches him to outer loop with you. Make sure he still has time to inner loop with himself and outer loop with his environment. A dog that only outer loops only with his owner is out of balance as well. It takes practice. As your dog becomes more balanced you will feel it. Just last night I did outer and inner looping at m y friend’s. He said I was more balanced. Balance feels loving and peaceful. Create that with your dog and your relationships and watch it transform your life!